Apple has just unveiled their latest iPad Pro and it’s the biggest change yet since the original model. Similar to the iPhone X, the new iPad has finally ditched the iconic home button with Touch ID and it also gets an edge-to-edge display. Fortunately, there’s no notch but it does get a redesigned pencil. 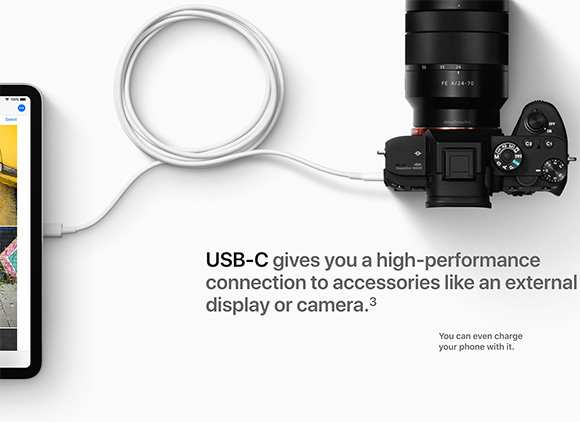 Apple has also made a surprising switch from a lightning connector to a more universal USB-C port. The new iPad Pro comes in 11″ and 12.9″ sizes with a new “bezel-less” Liquid Retina Display. Both push a pixel density of 264 pixels and they support ProMotion and TrueTone like its predecessor. It’s also 5.9mm thin, making it 15% thinner than the previous model. Powering the iPad Pro is a more powerful A12X Bionic chip that has an 8-core GPU and 7-core CPU. According to Apple, this 7nm chip makes the new iPad Pro faster than 92% of portable PCs in the market. Apple has also bumped the storage with a higher 1TB option in addition to its current 64GB, 256GB and 512GB variants. 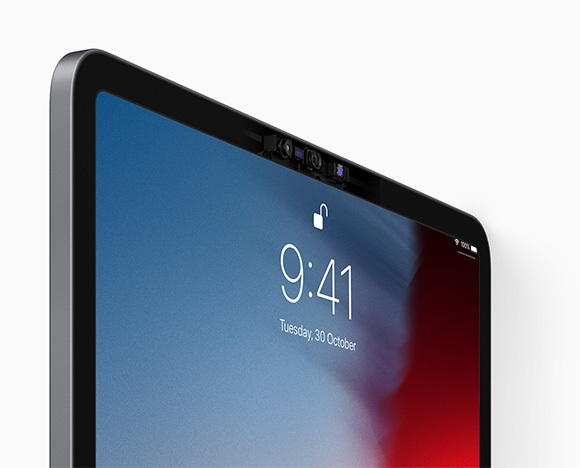 Since there’s no Touch ID, the new iPad Pro uses FaceID like the iPhone X. It has a similar 7MP TrueDepth Camera in front and you can unlock the iPad with your face in any direction including landscape mode. You can also take portrait selfies with it and there’s also Portrait lighting, animoji and memoji. At the rear, it comes with a 12MP f/1.8 main shooter that supports Smart HDR and Live Photos. As you would expect with any iPad Pro, it retains a quad speaker setup and it also comes with five microphones. 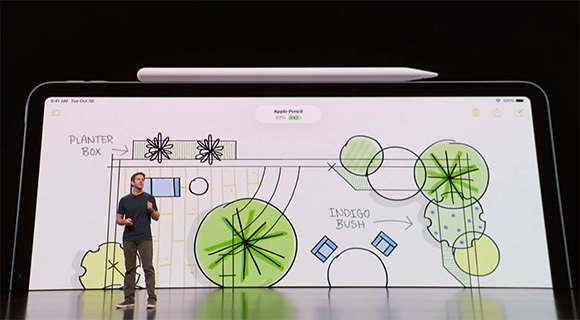 The Apple Pencil is also redesigned and it’s now shaped like an actual pencil. Charging is now so much easier as it can charge wirelessly when it’s attached to the sides of the iPad Pro with magnets. On top of that, the 2nd generation Pencil has a new double tap function and you can customise it for your favourite tools or modes. To get started quicker, you can use the new Pencil to tap the iPad Pro from sleep mode and jot down notes with the Notes app. Since Apple is positioning this as a computer replacement, they have also announced a new Smart Keyboard for both 11″ and 12.9″ versions. It still attaches via magnets and this new version provides protection for both front and back. Unfortunately, the new smart keyboard keys are not illuminated. Both iPad Pro models still come with the same 10-hour battery life and it now charges via USB-C. According to the product page, the iPad Pro comes with an 18W USB-C power adapter and a 1-metre USB-C cable. With USB-C, you can now hook the iPad Pro to a 5K monitor and a wide range of accessories. It’s also possible to use your iPad to charge your iPhone using a USB-C to lightning cable. Unfortunately, Apple has also killed the headphone jack so you’ll have to go wireless or use a USB-C to 3.5mm dongle which is priced at RM49. 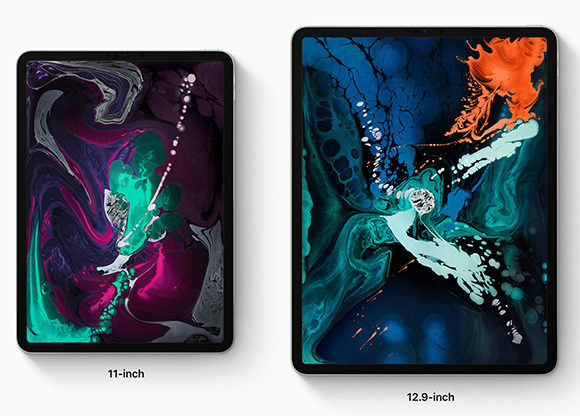 The iPad Pro 11″ is officially priced in Malaysia from RM3,499 for the 64GB WiFi version while the 12.9″ version is priced from RM4,349 for 64GB WiFi. 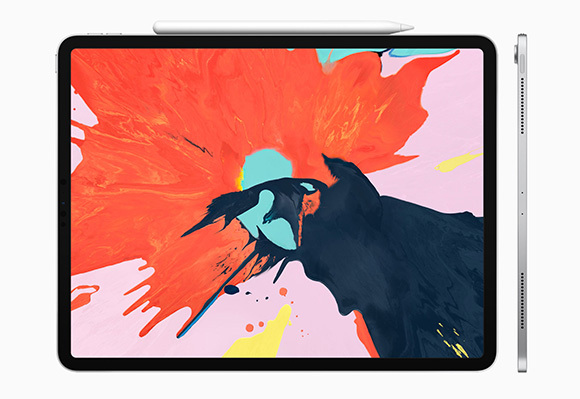 The top of the line 12.9″ iPad Pro with 1TB of storage and LTE support is listed at RM8,199. The new iPad Pro comes in just two colour options – Silver and Space Grey.